​Titanium dioxide (TiO2) is chemically inert and has exceptional opacity and whiteness. These properties have led to its widespread use in many industries. TiO2 is usually supplied in powdered/premicronised form and particle size reduction (grinding) is not applicable in most cases. To maximise opacity and gloss properties, TiO2 must be fully dispersed and evenly distributed throughout the product. Dust/solvent emissions must be minimised. On addition to the water, solvent, varnish or other media the particles tend to re-agglomerate. Conventional mixers cannot break these down effectively. 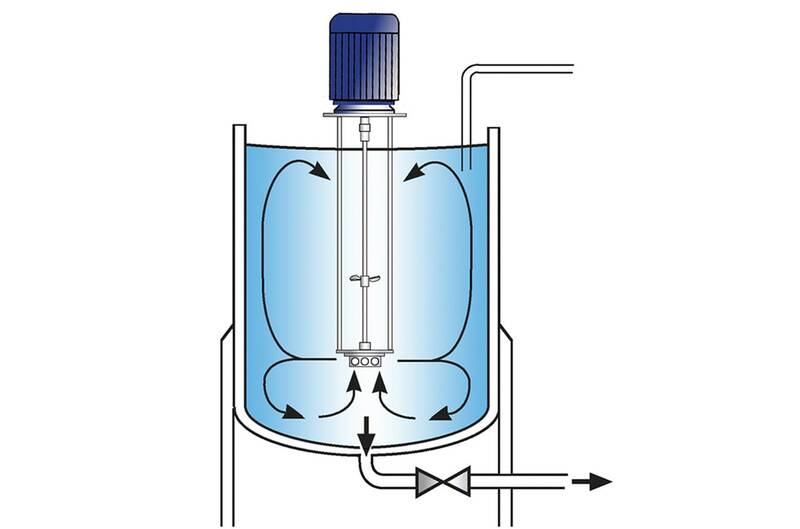 Long mixing cycles are required to obtain uniform dispersion. Extended processing time contributes to solvent emissions. Powder has to be added under controlled conditions which can be time consuming and leads to increased dust emissions. 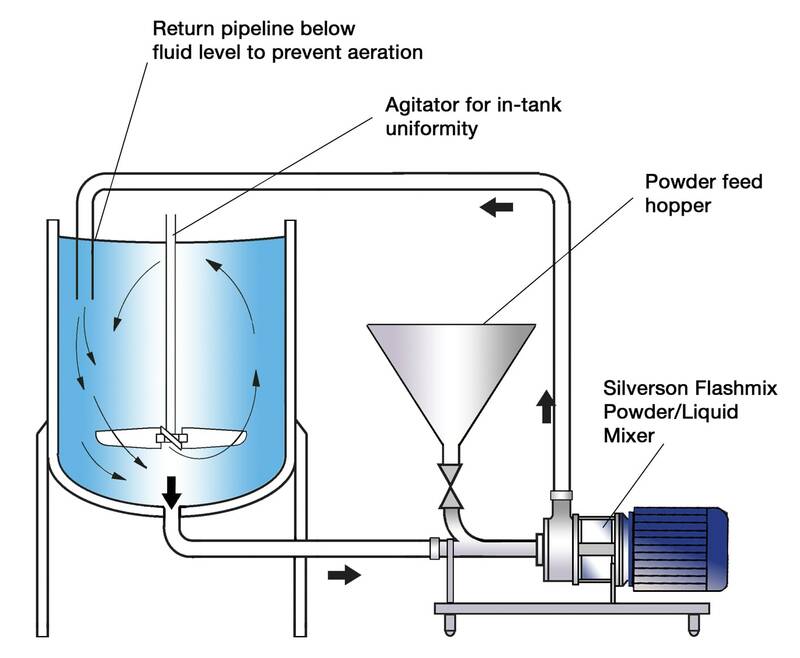 The high speed, high shear operation of a Silverson mixer provides the solution to these problems. 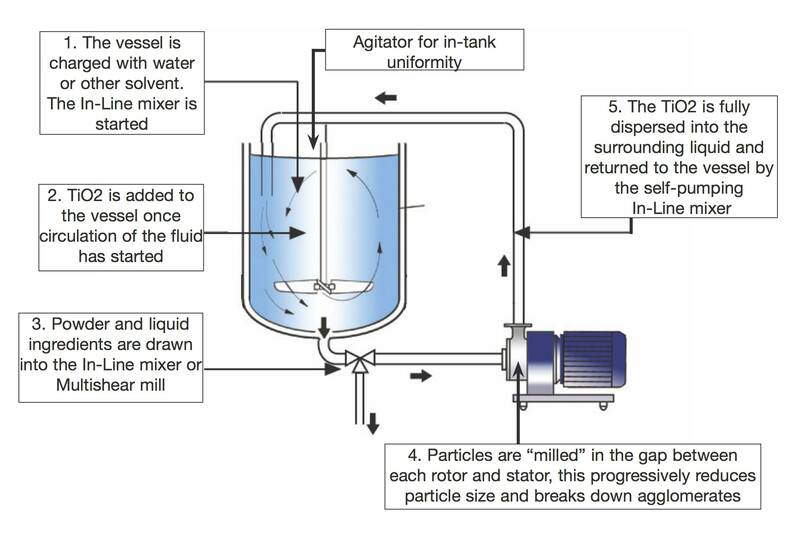 The rotor/stator workhead rapidly disperses the TiO2 particles into the surrounding liquid, leading to a more uniform product and shorter processing times. 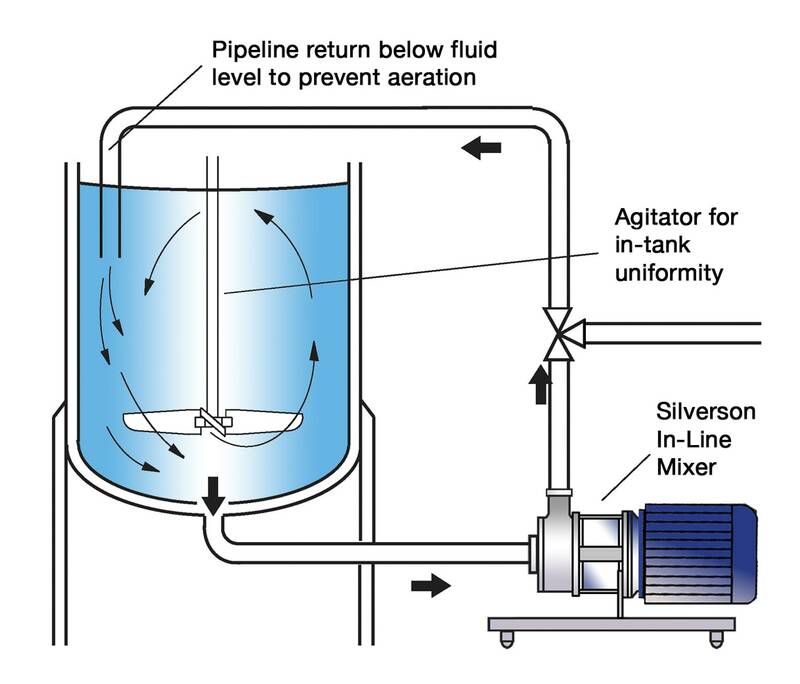 This can be achieved using a batch mixer immersed in the processing vessel, or by the addition of a Silverson In-Line mixer to an existing process in a recirculation system as illustrated. The TiO2 is added to the aqueous or organic solvent at a much faster rate, reducing dust emissions. The rotor/stator workhead provides an intense shearing action capable of breaking down even hard agglomerates. 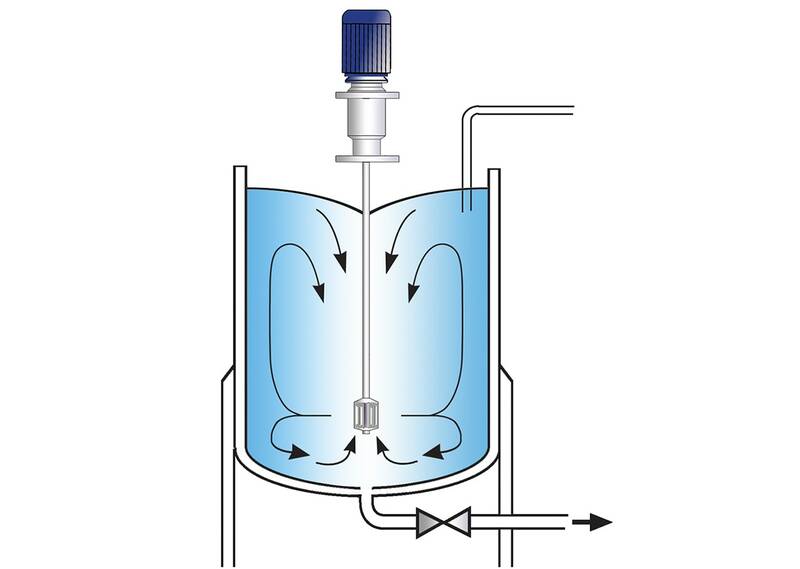 Operation can be carried out in a closed system, reducing solvent emissions. A Silverson mixer is more energy efficient and economical. The shorter processing times required to obtain a uniform dispersion reduce wear and therefore downtime and maintenance costs.